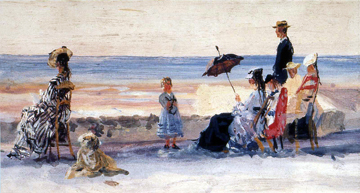 Figures on a terrace, France. 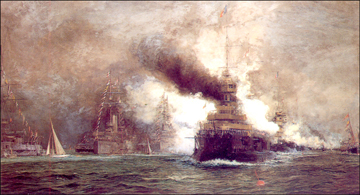 Swaying up the main-yard of Victory. 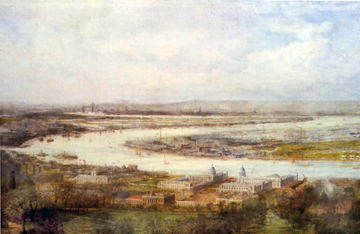 The River Thames from above Greenwich. 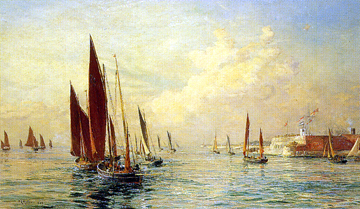 The mackerel fleet putting to sea from Portsmouth Harbour. 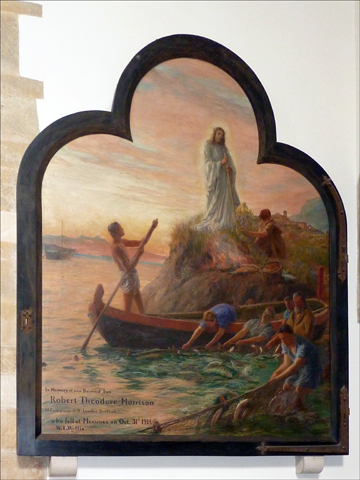 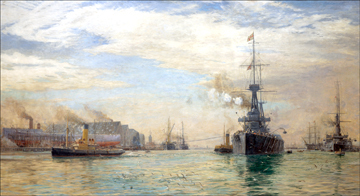 'New Zealand's gift to the old country.' 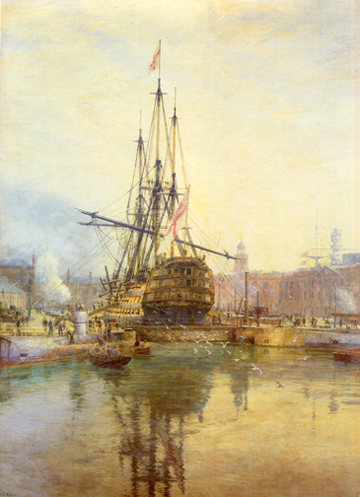 HMS New Zealand leaving Portsmouth Dockyard. 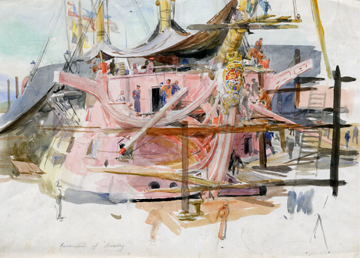 Watercolour sketch for the oil below, 'The Nelson Touch - Restoring HMS Victory'. 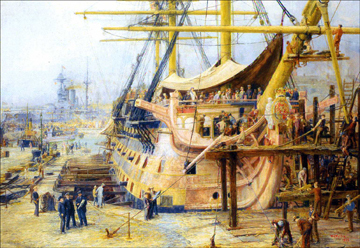 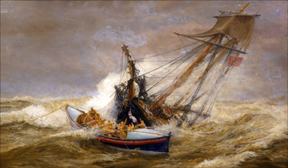 The Nelson Touch- Restoring HMS Victory. 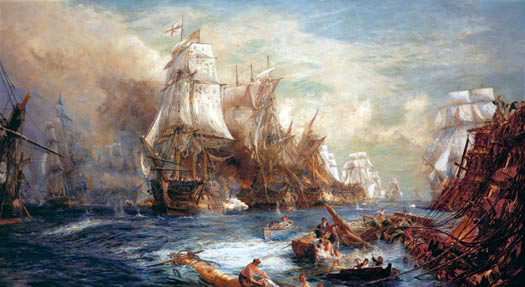 Crippled but unconquered, the Belleisle at the Battle of Trafalgar. 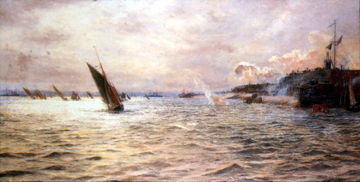 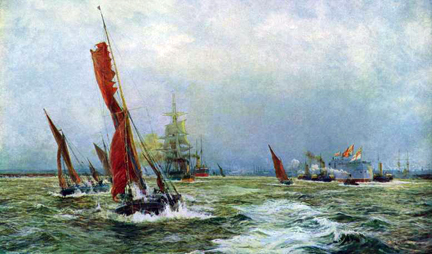 L'Entente Cordiale, the visit of the French Fleet to Portsmouth, 1905. 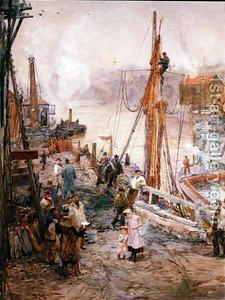 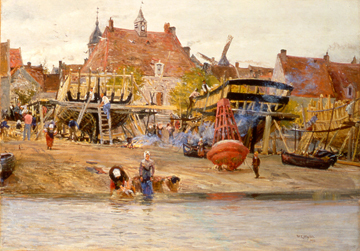 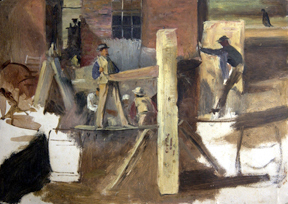 Unfinished study of a boatyard. 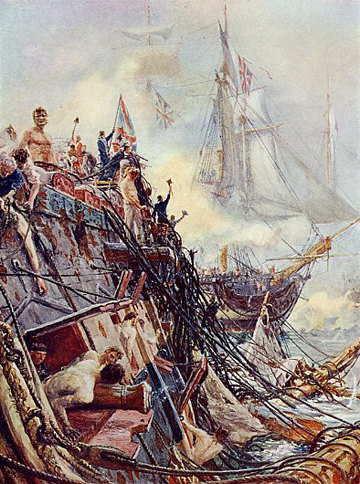 HMS Victory at the Battle of Trafalgar, 2.30 pm.